Hay season has officially kicked off, which means John Deere hay equipment is finally being put into action after months of unpredictable weather for most across the country. As our fans have proven, with the right equipment on your side, the wait will feel worth it in the end. From windrowers to round balers, John Deere hay equipment gets the job done right the first time so that operators are able to take a step back and enjoy what they have accomplished. 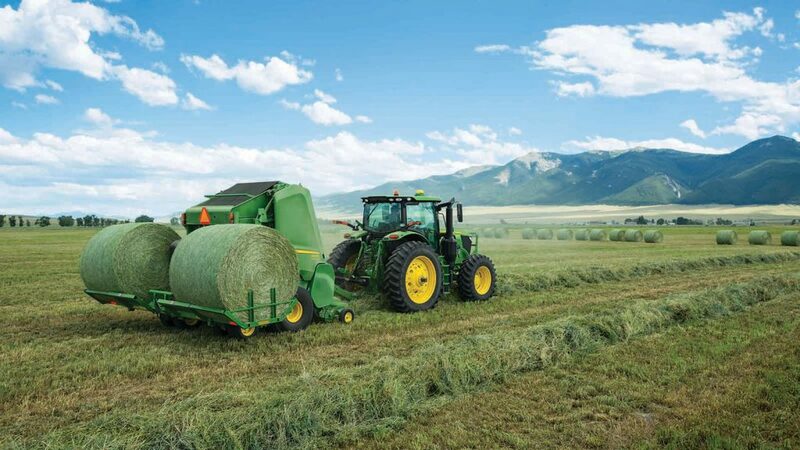 The John Deere 348 Square Baler has a pickup width of 74 inches, a plungerhead that offers 93 strokes per minute and a durable bale case with adjustable side doors, making it a popular choice for producers looking to yield a high volume of hay. However, with the right attachments and accessories for the job, this baler can offer even more. Let’s take a closer look at a number of John Deere 348 Baler parts that can be added to various areas of the equipment. Today’s John Deere hay equipment includes revolutionary design, futuristic technological capabilities and a host of features that are meant to simplify processes in the field. However, tractor-baler automation, advanced net systems and bale unrollers were not always available to customers. These advancements were built upon early roots and a foundation that was set more than a century ago. A deep-rooted history is one of the things that has made John Deere one of the “best global brands.” With this in mind, let’s take a look at some of the early events that shaped John Deere’s hay equipment history. 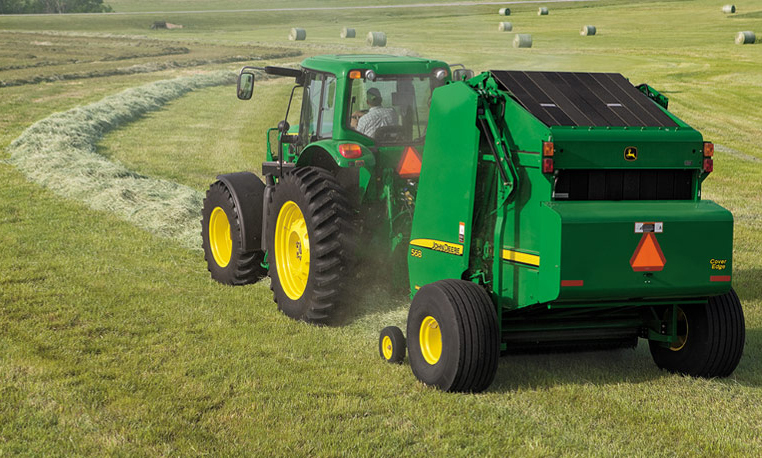 John Deere offers a number of round baler models that can be used by operators whether they’re looking to bale hay as a hobby or for a living. Choosing the right model to match the needs of the operator will likely result in high quality bales that increase the livestock’s rate of gain. However, there are some key areas to focus in on when looking to purchase a Deere round baler. From the re-engineered 459E all the way up to the powerful 569, Deere’s balers are built to produce. Let’s take a look at a few key elements to consider when beginning the round baler purchasing process. 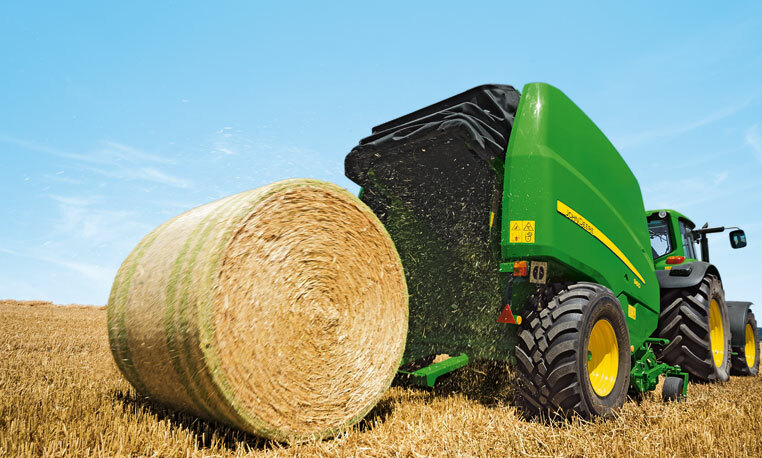 It’s no surprise that John Deere has responded to producers who bale silage or other forage for feed by introducing its 900 Series Round Balers. For producers who pre-process forage, these pre-cutter-type round balers are designed to make it easier to mix or grind before feeding. With new features, producers will experience faster baling performance, improved quality and less downtime. The new 900 series models, the 960 and 990, each has a different design and incorporates revolutionary features that will consistently maximize performance in the field and forage quality in storage and feeding. Whether producers are looking to feed a few animals on the farm or supply enough nutrients for large herds during the long winter months, the baling process emerges as a critical step in the haymaking process.